The Millionaire Next Door summarizes anthropological research from the ’90s on the attributes of unassuming wealthy Americans. The authors, marketing professors Thomas Stanley and William Danko, offer unique insights into millionaires’ lifestyles and their buying habits. They explain that, in contrast to today’s earn-and-consume culture, the many ordinary folks who accumulate wealth live modestly and prize frugality. When first published in 1996, The Millionaire Next Door generated widespread enthusiasm for its core message: that anybody could become rich by living below their means, efficiently allocating funds in ways that build wealth, and ignoring conspicuous consumption. Consequently, the book sold millions of copies and stayed on the New York Times bestseller list for three years. The authors discuss the fancy trappings of wealth and the high cost of maintaining social status. They explain that wealthy individuals prioritize financial independence over a high social status. Further, they did not receive sizable financial support from parents, and raise their own children to be economically self-sufficient adults. 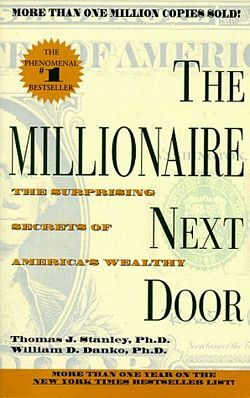 The Millionaire Next Door is a definitive example of books that present simple concepts by reiterating them ad nauseam with an overabundance of statistics, tables, charts, and anecdotes to attain a respectable book length. For instance, a tedious 31-page chapter discusses how the wealthy purchase cars and includes statistics for average price-per-pound of popular cars. Recommendation: Skim. The Millionaire Next Door defends the timeless values of thrift, disciplined spending, and prudent accumulation of wealth. However, the book overemphasizes penny-pinching and the merits of hoarding money. The book feels dated (it was first published in 1996) and engages the reader in crude generalizations and oversimplifications. 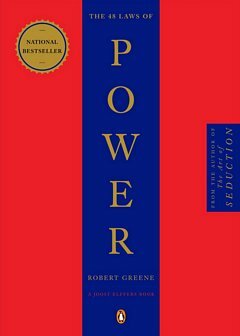 Robert Greene's controversial bestseller about manipulative people and advance your cause---or how to understand others and protect yourself from the nefarious.